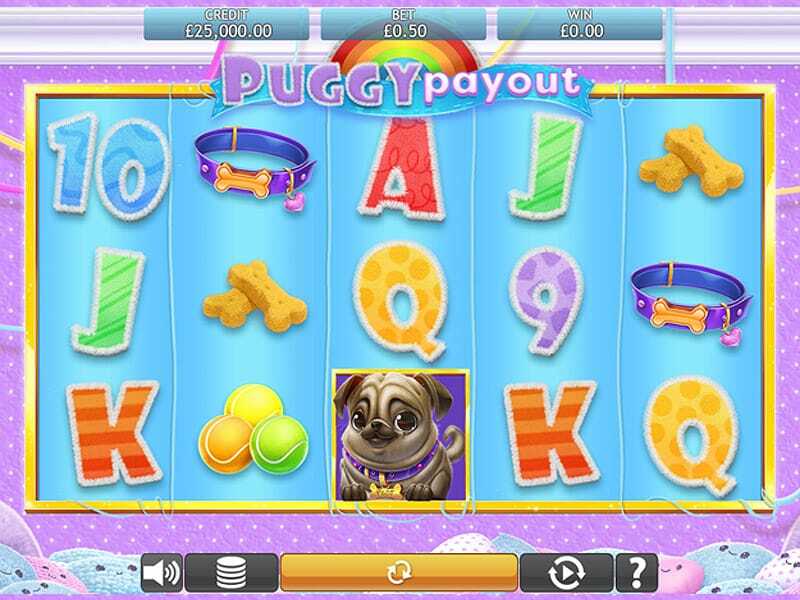 Doggie lovers, get ready for your favourite online slots casino, as Eyecon combines the adorable little pooch with online gaming in Puggy Payout. This game features, you guessed it, the cute little Pug and all her accessories. The reels feature doggy bowls, a pug, tennis balls, treats, a paw print frisbee, dog beds, dog colours and different furry friends (all pugs obviously). Chill out and get comfortable as you play this game, with its soft colours and easy gameplay that will settle you into the Slots games and have you feeling the Puggy love in no time. Eyecon has been delivering gaming excellence since they were formed as far back as 1997 as a computer game company. They are well-known for developing Gore, a game that received millions of downloads. In 1999, they started focusing on the online casino market and they have flourished in that market ever since, providing fun and engaging slots that have gamers coming back to a trusted favourite time and time again for an amazing gaming experience. In 2006, they released Fluffy Favourites which proved to be their favourite slot and their most successful game to date. Since then, they have been working hard to add more amazing games to their portfolio. If you love promo's, check our deposit bonuses for slots today. Pugs were introduced to Europe after being brought over from China in the sixteenth century and became popular after the House of Orange of the Netherlands, and the House of Stuart took a liking to them. In the UK, Queen Victoria took a shining to these cute pooches which was passed down through the Royal Family in the nineteenth century. Pugs are known for being sociable and gentle companion dogs and they have been described by The American Kennel Club as "even-tempered and charming." THE WILD SYMBOL: The wild in this online slot game is represented by the Frisbee symbol and it will substitute all other symbols except the Scatter symbol. Prizes will be double in a wild win. THE SCATTER SYMBOL: The pug symbol is the scatter in this slot game and scatter wins will be multiplied by the total wager. FREE GAMES: 3, 4 or 5 scattered pug symbols appearing anywhere on the reels will trigger 15, 20 or 25 free games respectively. Free Games may be triggered a maximum of 15 times. GAMBLE BONUS: The gamble bonus, when available, pays double or nothing on the last win. To win, correctly select which one of the two choices will be revealed. Play continues until Take Win is selected. Each bonus round is an independent event.